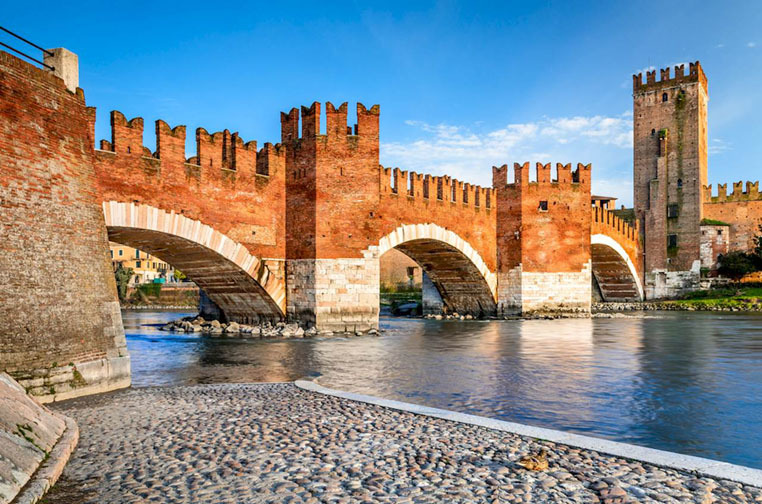 The Scaliger Bridge is in Verona, crosses the river Adige and is part of the Castelvecchio fortress. 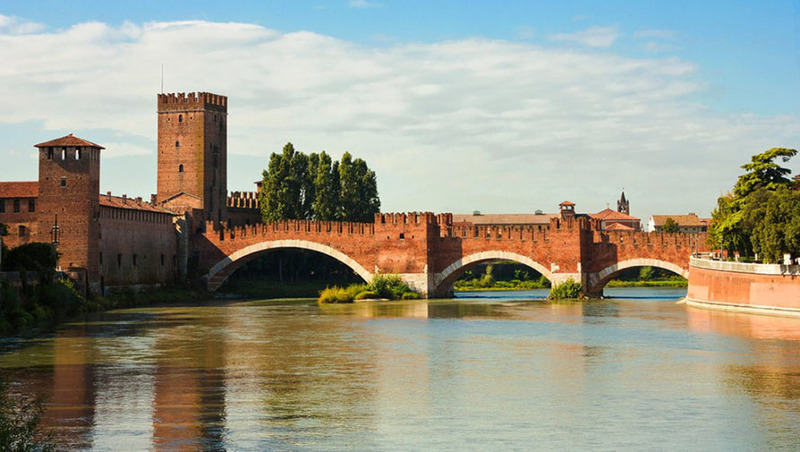 The bridge that dates back to 1350 was destroyed in the Second World War, but was rebuilt. Along the way from one side to the other the structure keeps the dovetail shaped battlements of the fortress. The piers that support it are pentagonal; the entire lower part is made of stone and the upper part in red brick. The exterior of the three large arches are decorated with marble from Verona (Red Verona, Nembro Rosato and Biancone).